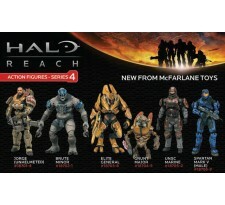 McFarlane Toys is proud to present the 4th line of action figures and vehicles from the blockbuster video game, Halo: Reach. In Halo: Reach, the power of invisibility returns as an Armor Ability -- and with a new twist. Available as part of the ""Stalker"" equipment loadout, Active Camo now varies based on the speed of the camouflaged Spartan's movement. A Spartan Stalker that stands perfectly still is nearly completely invisible, but a Spartan that moves too much will be faintly visible to enemies! 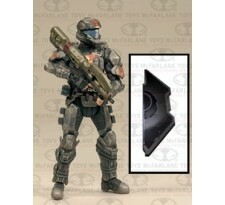 Move too fast, or run out of activation time, and your Spartan will return to full visibility. 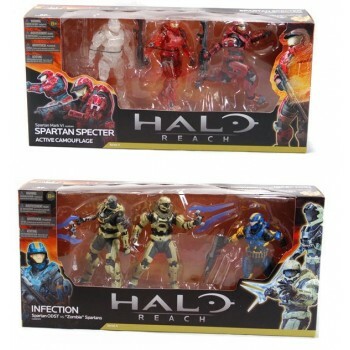 This unique 3-pack represents all stages of a Stalker's invisibility, showing one Spartan in three distinctly different versions. 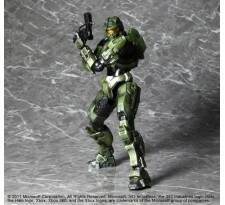 Figures include the cutting-edge Mark VI helmet, UA/Multi-Threat shoulders, UA/ODST chest, and default knee guards. 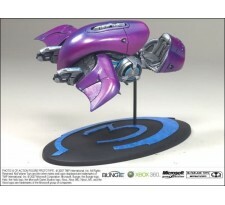 The fully-visible Spartan features a dark Maroon paint scheme, the completely invisible version is cast in clear plastic, and the partially visible version features light paint over a clear body. Each version comes with the close-quarters Shotgun weapon -- perfect for unloading on that unsuspecting enemy you've stealthily snuck up behind. One of the most popular Halo gametypes returns in Halo: Reach -- the ""humans vs. zombies"" mode called Infection. Halo Zombies can easily be identified by their unique sickly green armor color and their exclusive use of the close-range Covenant Energy Sword. 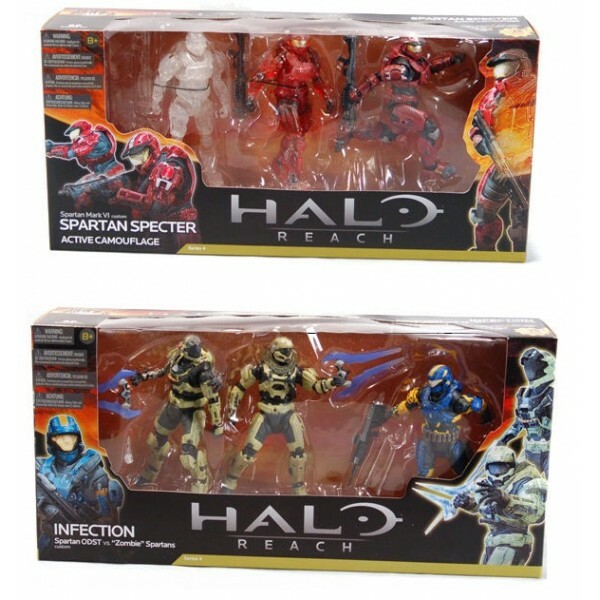 This special 3-pack celebrates the fun, fast-paced Infection gametype by including two Spartan Zombies facing off against a lone Spartan Human. 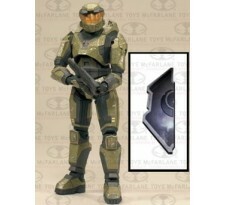 The ""last man standing"" features an ODST helmet with Gold visor, Sniper and FJ/Para shoulders, UA/Base Security chest, Tactical/Trauma Kit utility, and FJ/Para knee guards. 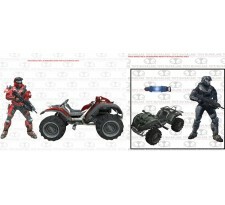 One Spartan Zombie comes with a Pilot helmet with Black visor, Collar/Breacher [R] chest with skeletal robotic arm, Jump Jet shoulder, and Grenadier knee guards. The other Zombie is equipped with a HazOp helmet with Black visor, Operator shoulders, Collar/Breacher [R] chest with skeletal robotic arm, and FJ/Para knee guards. 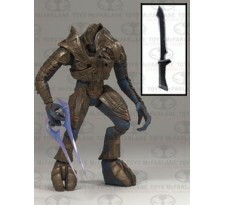 Each Spartan Zombie is painted in ""zombie green"" and comes with an Energy Sword. 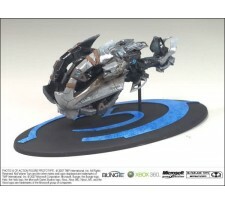 Spartan Human has a blue & gold paint scheme and comes with a DMR. **The price is for one set of this two packs. Please choose which set you would like to order from "Available Options".